Cuban Migrants Stuck At Nicaragua-Costa Rica Border: 3,000 In Legal Limbo En Route To U.S.
Costa Rican President Luis Guillermo Solís is negotiating a “ land bridge,” and other potential remedies for the reported 3,000 Cuban migrants stuck in his country who are trying to reach the U.S. Countries with close ties to Cuba are clamping down on migration from the island nation. Ecuador tightened visa requirements for Cubans, while Nicaragua mobilized troops to secure its southern border. 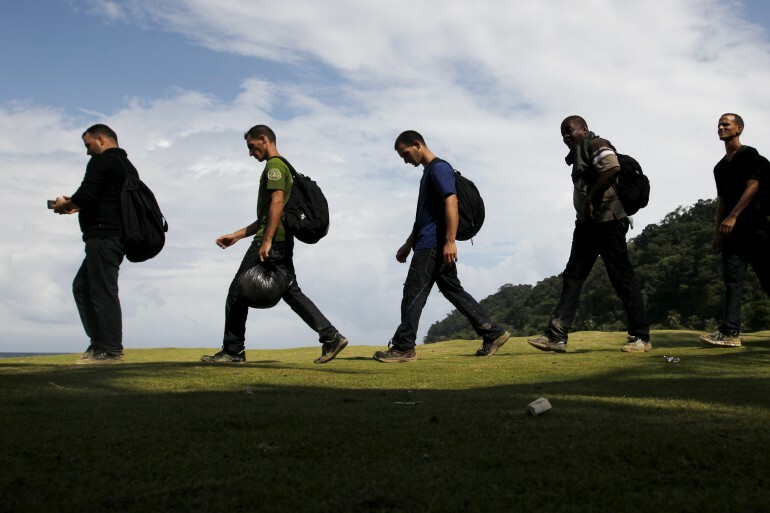 On the other side of that border and along the migrant’s routes, Costa Rica and other countries with close U.S. ties are trying to find a way to let the Cubans journey north. “We’re looking into an [air evacuation], but since there’s not [existing] regional agreement each [Central American] country decided to announce their measures at their own time,” Guillermo told 14 Y Medio, an anti-Communist news agency founded by Cuban dissident Yoani María Sánchez Cordero. Cuban migrants who reach the U.S. are almost automatically eligible for residency and work permission under the American so-called “wet foot, dry foot” policy. Many of the migrants started in Ecuador, and had to bribe their way through Colombia and Panama to reach Costa Rica. While Reuters reports that many are angry at the Cuban government, few would likely be eligible for refugee status if “wet foot, dry foot” were revoked, a measure that Cuba is pressuring the U.S. to accept as part of the countries’ rekindled diplomatic ties. For the thousands of migrants currently stuck in migratory purgatory at the Costa Rica- Nicaragua border, going back is not an option. As the AFP’s Marco Sibaja reports, many migrants have sold all of their possessions back in Cuba for a stab at making it in the U.S.
Latin America leaders, meanwhile, are debating a proposed “humanitarian corridor” leading to the U.S. may lead to a flood of Cuban migrants scrambling to beat rumored ends to America’s open immigration policy. The diplomatic spat rolls on, pitting pro-American countries like Costa Rica against pro-Cuban countries like Nicaragua. Migrants, meanwhile, continue to roll over the borders of Colombia and Panama towards an uncertain fate.